The final push for Big Bucks tickets is approaching! If you are interested in selling tickets, for every ten tickets you sell, you will receive one free Big Bucks ticket! 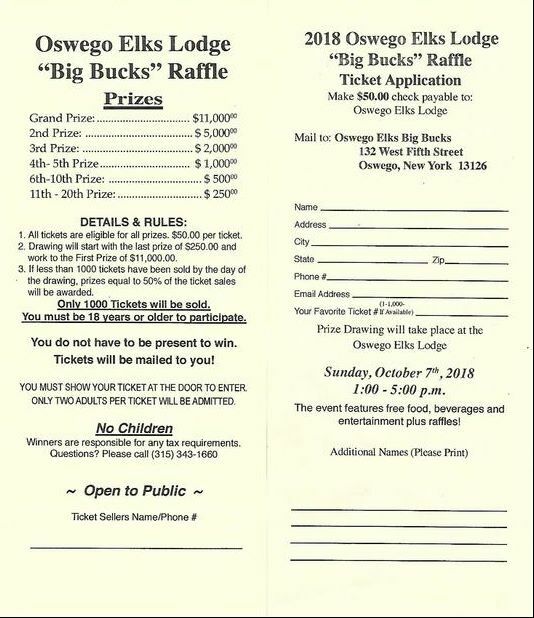 Get your Big Bucks tickets for your chance to win big money! Tickets are available at the lodge and from members. You can also print the ticket application below.